The Seychelles are an angler’s paradise – if you can actually get to them. Follow the crew of the Alphonse Fishing Co. as they wade the flats of the Cosmoledo Atoll, hoping for a shot at Giant Trevally. For centuries sailors told stories of enormous waves tens of metres tall. TEN-storey high, near-vertical walls of frothing water. Smashed portholes and flooded cabins on the upper decks. Thirty-metre behemoths that rise up from nowhere to throw ships about like corks, only to slip back beneath the depths moments later. Evocative descriptions of abnormally large "rogue waves" that appear out of the blue have been shared among sailors for centuries. With little or no hard evidence, and the size of the waves often growing with each telling, there is little surprise that scientists long dismissed them as tall tales. Until around half a century ago, this scepticism chimed with the scientific evidence. According to scientists' best understanding of how waves are generated, a 30m wave might be expected once every 30,000 years. Rogue waves could safely be classified alongside mermaids and sea monsters. However, we now know that they are no maritime myths. A wave is a disturbance that moves energy between two points. The most familiar waves occur in water, but there are plenty of other kinds, such as radio waves that travel invisibly through the air. Although a wave rolling across the Atlantic is not the same as a radio wave, they both work according to the same principles, and the same equations can be used to describe them. A rogue wave is one that is at least twice the "significant wave height", which refers to the average of the third highest waves in a given period of time. 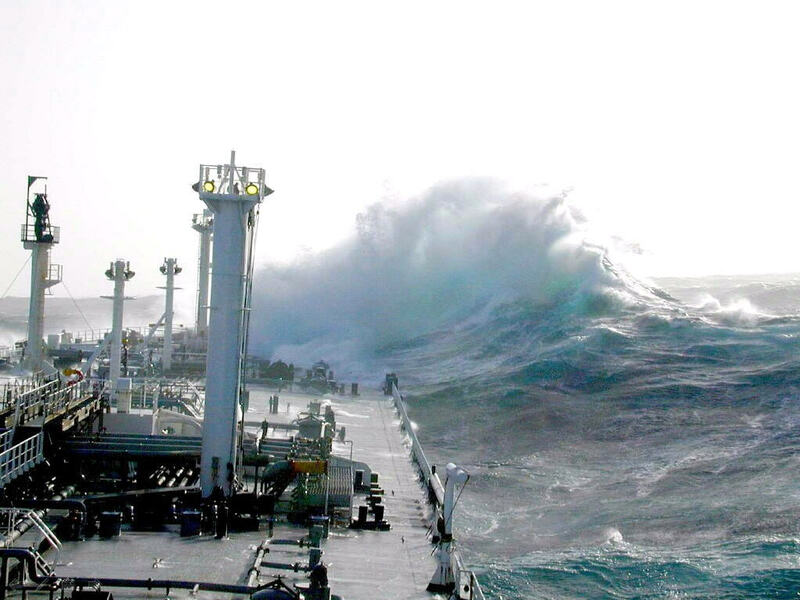 According to satellite-based measurements, rogue waves do not only exist, they are relatively frequent. The sceptics had got their sums wrong, and what was once folklore is now fact. This led scientists to altogether more difficult questions. Given that they exist, what causes rogue waves? More importantly for people who work at sea, can they be predicted? Until the 1990s, scientists' ideas about how waves form at sea were heavily influenced by the work of British mathematician and oceanographer Michael Selwyn Longuet-Higgins. In work published from the 1950s onwards, he stated that, when two or more waves collide, they can combine to create a larger wave through a process called "constructive interference". According to the principle of "linear superposition", the height of the new wave should simply be the total of the heights of the original waves. A rogue wave can only form if enough waves come together at the same point according to this view. However, during the 1960s evidence emerged that things might not be so simple. The key player was mathematician and physicist Thomas Brooke Benjamin, who studied the dynamics of waves in a long tank of shallow water at the University of Cambridge. With his student Jim Feir, Benjamin noticed that while waves might start out with constant frequencies and wavelengths, they would change unexpectedly shortly after being generated. Those with longer wavelengths were catching those with shorter ones. This meant that a lot of the energy ended up being concentrated in large, short-lived waves. At first Benjamin and Feir assumed there was a problem with their equipment. However, the same thing happened when they repeated the experiments in a larger tank at the UK National Physical Laboratory near London. What's more, other scientists got the same results. For many years, most scientists believed that this "Benjamin-Feir instability" only occurred in laboratory-generated waves travelling in the same direction: a rather artificial situation. However, this assumption became increasingly untenable in the face of real-life evidence. 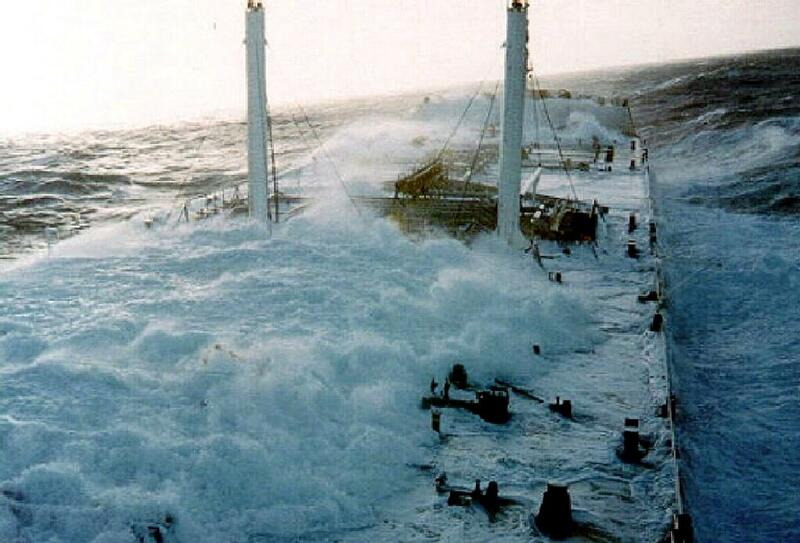 At 3am on 12 December 1978, a German cargo ship called The München sent out a mayday message from the mid-Atlantic. Despite extensive rescue efforts, she vanished never to be found, with the loss of 27 lives. Despite having been stowed 66ft (20m) above the water line and showing no signs of having been purposefully lowered, the lifeboat seemed to have been hit by an extreme force. However, what really turned the field upside down was a wave that crashed into the Draupner oil platform off the coast of Norway shortly after 3.20pm on New Year's Day 1995. Hurricane winds were blowing and 39ft (12m) waves were hitting the rig, so the workers had been ordered indoors. No-one saw the wave, but it was recorded by a laser-based rangefinder and measured 85ft (26m) from trough to peak. 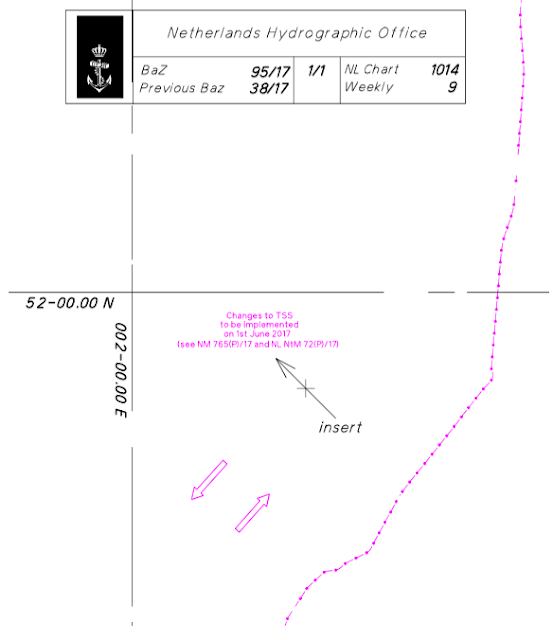 The significant wave height was 35.4ft (10.8m). According to existing assumptions, such a wave was possible only once every 10,000 years. The Draupner giant brought with it a new chapter in the science of giant waves. When scientists from the European Union's MAXWAVE project analysed 30,000 satellite images covering a three-week period during 2003, they found 10 waves around the globe had reached 25 metres or more. "Satellite measurements have shown there are many more rogue waves in the oceans than linear theory predicts," says Amin Chabchoub of Aalto University in Finland. "There must be another mechanism involved." In the last 20 years or so, researchers like Chabchoub have sought to explain why rogue waves are so much more common than they ought to be. Instead of being linear, as Longuet-Higgins had argued, they propose that rogue waves are an example of a non-linear system. A non-linear equation is one in which a change in output is not proportional to the change in input. If waves interact in a non-linear way, it might not be possible to calculate the height of a new wave by adding the originals together. Instead, one wave in a group might grow rapidly at the expense of others. When physicists want to study how microscopic systems like atoms behave over time, they often use a mathematical tool called the Schrödinger equation. It turns out that certain non-linear version of the Schrödinger equation can be used to help explain rogue wave formation. The basic idea is that, when waves become unstable, they can grow quickly by "stealing" energy from each other. Researchers have shown that the non-linear Schrödinger equation can explain how statistical models of ocean waves can suddenly grow to extreme heights, through this focusing of energy. In a 2016 study, Chabchoub applied the same models to more realistic, irregular sea-state data, and found rogue waves could still develop. "We are now able to generate realistic rogue waves in the laboratory environment, in conditions which are similar to those in the oceans," says Chabchoub. "Having the design criteria of offshore platforms and ships being based on linear theory is no good if a non-linear system can generate rogue waves they can't cope with." Still, not everyone is convinced that Chabchoub has found the explanation. "Chabchoub was examining isolated waves, without allowing for interference with other waves," says optical physicist Günter Steinmeyer of the Max Born Institute in Berlin. 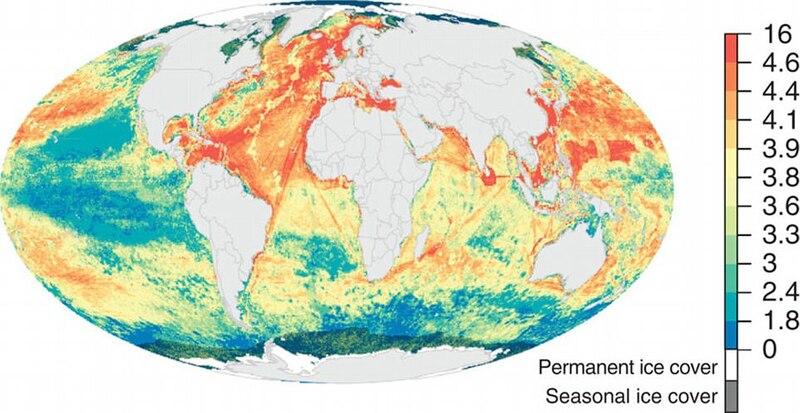 "It's hard to see how such interference can be avoided in real-world oceans." Instead, Steinmeyer and his colleague Simon Birkholz looked at real-world data from different types of rogue waves. They looked at wave heights just before the 1995 rogue at the Draupner oil platform, as well as unusually bright flashes in laser beams shot into fibre optic cables, and laser beams that suddenly intensified as they exited a container of gas. Their aim was to find out whether these rogue waves were at all predictable. The pair divided their data into short segments of time, and looked for correlations between nearby segments. In other words, they tried to predict what might happen in one period of time by looking at what happened in the periods immediately before. They then compared the strengths of these correlations with those they obtained when they randomly shuffled the segments. 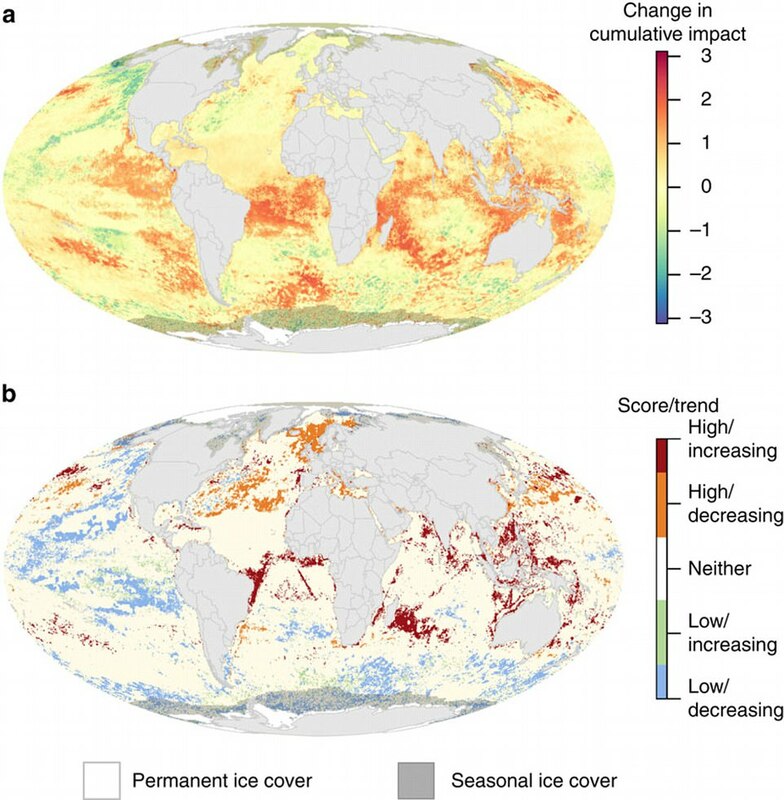 The results, which they published in 2015, came as a surprise to Steinmeyer and Birkholz. It turned out, contrary to their expectations, that the three systems were not equally predictable. They found oceanic rogue waves were predictable to some degree: the correlations were stronger in the real-life time sequence than in the shuffled ones. There was also predictability in the anomalies observed in the laser beams in gas, but at a different level, and none in the fibre optic cables. 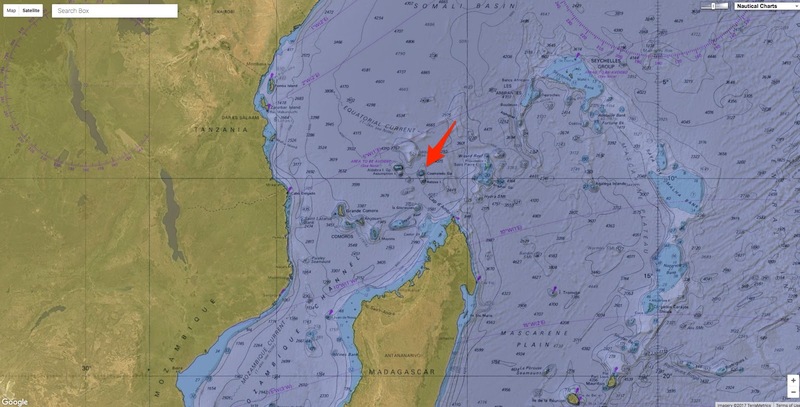 However, the predictability they found will be little comfort to ship captains who find themselves nervously eyeing the horizon as the winds pick up. "In principle, it is possible to predict an ocean rogue wave, but our estimate of the reliable forecast time needed is some tens of seconds, perhaps a minute at most," says Steinmeyer. "Given that two waves in a severe North Sea storm could be separated by 10 seconds, to those who say they can build a useful device collecting data from just one point on a ship or oil platform, I'd say it's already been invented. However, others believe we could foresee rogue waves a little further ahead. The complexity of waves at sea is the result of the winds that create them. While ocean waves are chaotic in origin, they often organise themselves into packs or groups that stay together. In 2015 Themis Sapsis and Will Cousins of MIT in Cambridge, Massachusetts, used mathematical models to show how energy can be passed between waves within the same group, potentially leading to the formation of rogue waves. The following year, they used data from ocean buoys and mathematical modelling to generate an algorithm capable of identifying wave groups likely to form rogues. Most other attempts to predict rogue waves have attempted to model all the waves in a body of water and how they interact. This is an extremely complex and slow process, requiring immense computational power. Instead, Sapsis and Cousins found they could accurately predict the focusing of energy that can cause rogues, using only the measurements of the distance from the first to last waves in a group, and the height of the tallest wave in the pack. "Instead of looking at individual waves and trying to solve their dynamics, we can use groups of waves and work out which ones will undergo instabilities," says Sapsis. He thinks his approach could allow for much better predictions. If the algorithm was combined with data from LIDAR scanning technology, Sapsis says, it could give ships and oil platforms 2-3 minutes of warning before a rogue wave formed. Others believe the emphasis on waves' ability to catch other waves and steal their energy – which is technically called "modulation instability" – has been a red herring. "These modulation instability mechanisms have only been tested in laboratory wave tanks in which you focus the energy in one direction," says Francesco Fedele of Georgia Tech in Atlanta. "There is no such thing as a uni-directional stormy sea. In real-life, oceans' energy can spread laterally in a broad range of directions." In a 2016 study, Fedele and his colleagues argued that more straightforward linear explanations can account for rogue waves after all. They used historic weather forecast data to simulate the spread of energy and ocean surface heights in the run up to the Draupner, Andrea and Killard rogue waves, which struck respectively in 1995, 2007 and 2014. Their models matched the measurements, but only when they factored in the irregular shapes of ocean waves. Because of the pull of gravity, real waves have rounded troughs and sharp peaks – unlike the perfectly smooth wave shapes used in many models. Once this was factored in, interfering waves could gain an extra 15-20% in height, Fedele found. "When you account for the lack of symmetry between crest and trough, and add it to constructive interference, there is an enhancement of the crest amplitudes that allows you to predict the occurrence observed in the ocean," says Fedele. What's more, previous estimates of the chances of simple linear interference generating rogue waves only looked at single points in time and space, when in fact ships and oil rigs occupy large areas and are in the water for long periods. This point was highlighted in a 2016 report from the US National Transportation Safety Board, written by a group overseen by Fedele, into the sinking of an American cargo ship, the SS El Faro, on 1 October 2015, in which 33 people died. "If you account for the space-time effect properly, then the probability of encountering a rogue wave is larger," Fedele says. Also in 2016, Steinmeyer proposed that linear interference can explain how often rogue waves are likely to form. As an alternative approach to the problem, he developed a way to calculate the complexity of ocean surface dynamics at a given location, which he calls the "effective" number of waves. "Predicting an individual rogue wave event might be hopeless or non-practical, because it requires too much data and computing power. But what if we could do a forecast in the meteorological sense?" says Steinmeyer. "Perhaps there are particular weather conditions that we can foresee that are more prone to rogue wave emergence." Steinmeyer's group found that rogue waves are more likely when low pressure leads to converging winds; when waves heading in different directions cross each other; when the wind changes direction over a wide range; and when certain coastal shapes and subsea topographies push waves together. They concluded that rogue waves could only occur when these and other factors combined to produce an effective number of waves of 10 or more. Steinmeyer also downplays the idea that anything other than simple interference is required for rogue wave formation, and agrees that wave shape plays a role. However, he disagrees with Fedele's view that sharp peaks can have a significant impact on wave height. "Non-linearities have a role, but it's a minor one," he says. "Their main role is that ocean waves are not perfect sine waves, but have more spikey crests and depressed troughs. However, what we calculated for the Draupner wave is that the effect of non-linearities on wave height was in the order of a few tens of centimetres." In fact, Steinmeyer thinks that Longuet-Higgins had it pretty much right 60 years ago, when he emphasised basic linear interference as the driver of large waves, rogue or otherwise. In fact, the argument over exactly why rogue waves form seems set to rumble on for some time. Part of the issue is that several kinds of scientists are studying them – experimentalists and theoreticians, specialists in optical waves and fluid dynamics – and they have not as yet done a good job of integrating their different approaches. There is no sign that a consensus is developing. But it is an important question to solve, because we will only be able to predict these deadly waves when we understand them. For anyone sitting on an isolated oil rig or ship, watching the swell of the waves under a stormy sky, those few minutes of warning could prove crucial. The future development of a North Sea energy system up to approx. 2050 will require a rollout, coordinated at European level, of interlinked offshore interconnectors, i.e. a so-called interconnection hub, combined with large-scale wind power. Any surplus wind power could be converted into other forms of energy, or stored. Situating this interconnection hub on a modularly constructed island in a relatively shallow part of the North Sea would result in significant cost savings. These are the starting points for a proposed efficient, affordable and reliable energy system on the North Sea, which will contribute to European objectives being met. This vision does not preclude the option of providing renewably generated power from the wind farms to nearby oil and gas platforms to reduce Europe's CO2 emissions. The harnessing of energy has never been without projects of monolithic scale. From the Hoover Dam to the Three Gorges—the world's largest power station—engineers the world over have recognised that with size comes advantages. The trend is clear within the wind power industry too, where the tallest wind turbines now tower up to 220m, with rotors spinning through an area greater than that of the London Eye, generating electricity for wind farms that can power whole cities. While the forecast for offshore wind farms of the future is for ever-larger projects featuring ever-larger wind turbines, an unprecedented plan from electricity grid operators in the Netherlands, Germany, and Denmark aims to rewrite the rulebook on offshore wind development. 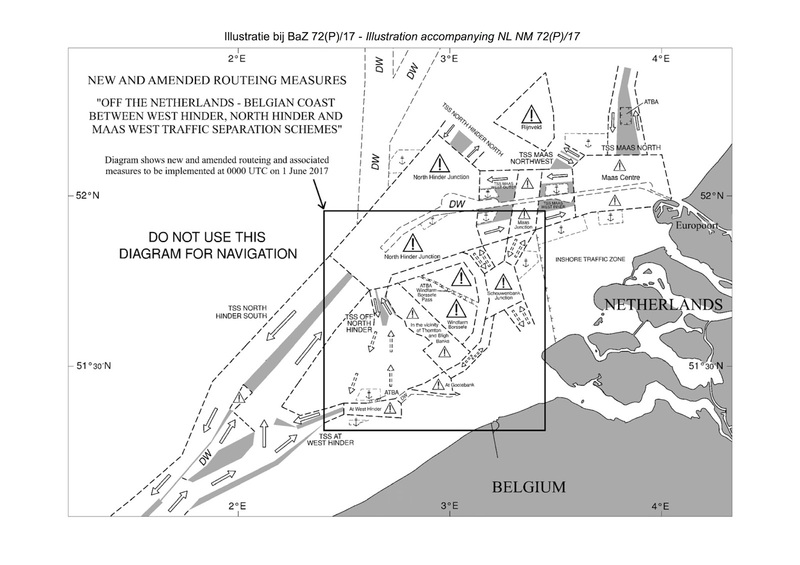 The proposal is relatively straight-forward: build an artificial island in the middle of the North Sea to serve as a cost-saving base of operations for thousands of wind turbines, while at the same time doubling up as a hub that connects the electricity grids of countries bordering the North Sea, including the UK. In time, more islands may be built too; daisy chained via underwater cables to create a super-sized array of wind farms tapping some of best wind resources in the world. “Don’t be mistaken, this is really a very large, very ambitious project—there’s nothing like it anywhere in the world. 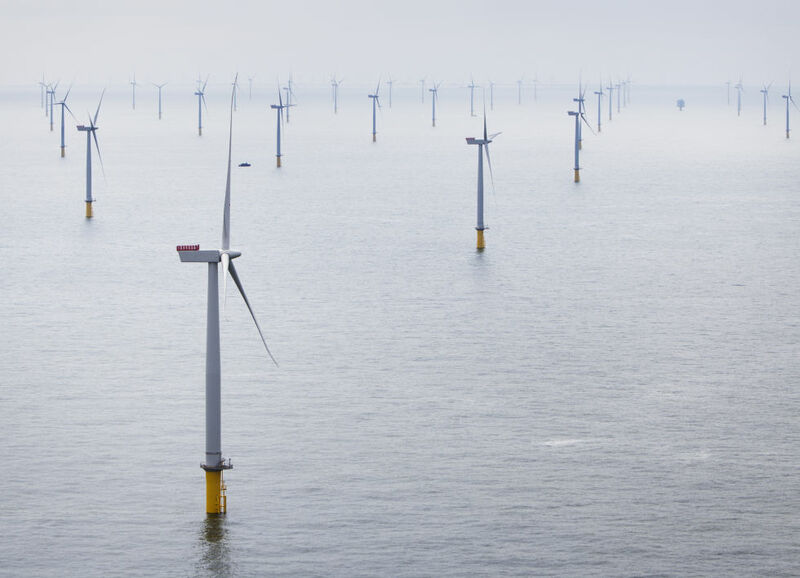 We’re taking offshore wind to the next level,” Jeroen Brouwers, spokesperson for the organisation that first proposed the plan, Dutch-German transmission system operator (TSO) TenneT, tells Ars Technica. To add some context to those figures, consider that the world’s largest offshore wind farm in operation today, the London Array, has a max capacity of 630MW (0.63GW), and that all the wind turbines installed in European waters to date amount to a little over 12.6GW. The Danish TSO Energinet says 70GW could supply power for some 80 million Europeans. Undoubtedly ambitious, the North Sea Wind Power Hub—as the project is titled—is nevertheless being taken seriously by key stakeholders. The project was centre of attention at the seminal North Seas Energy Forum held in Brussels at the end of March. There, the consortium behind the project (Dutch-German TSO TenneT, alongside the Danish TSO Energinet) took the opportunity to sign a memorandum of understanding (MoU) that will drive the project forward over the coming decades. The London Array wind farm is the largest in operation with 175 wind turbines generating enough power for close to half a million UK homes annually. The North Sea Wind Power Hub represents a fundamentally new approach to the development of offshore wind; one that tackles multiple challenges faced by the wind industry head on and capitalises on economies of scale in a bid to deliver access to the wind resources of the North Sea at reduced costs. Something of a case of necessity being the mother of invention, Brouwers explains that the Wind Power Hub concept is a response to a looming problem faced by the wind industry: ”At the moment, offshore wind is focused on sites relatively close to shore where development costs are lower. The problem is that there’s not space for the 150GW of offshore wind power that the EU has called for. There are other industrial and economic interests in those near-shore regions—fishing, shipping lanes, military areas and so on. So how would the Wind Power Hub deliver on this objective? 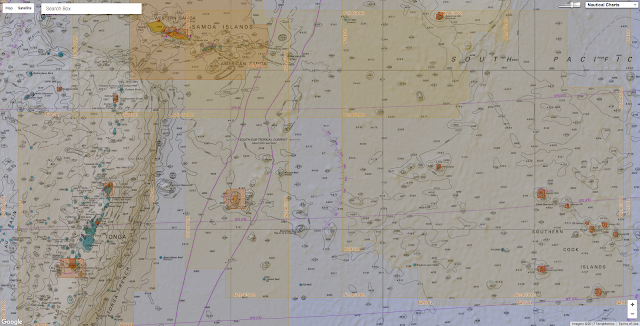 Well, the wind farms envisioned by the project wouldn’t be dissimilar from those we see today, but their proximity and connection to artificial "power link islands" represents a substantial departure from the conventional model for offshore wind. 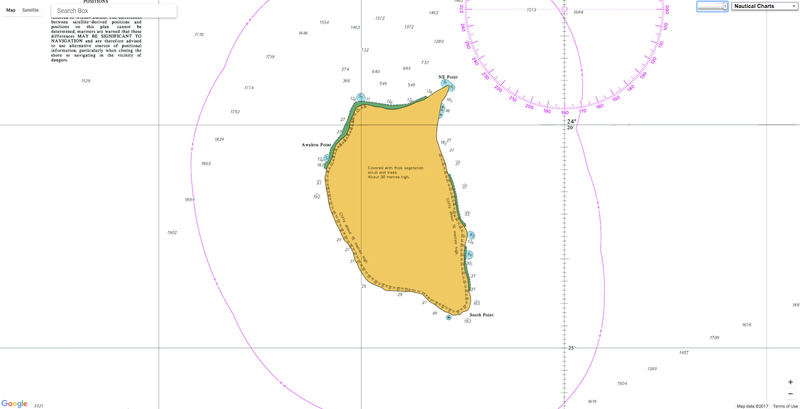 “The idea is that islands as large as six square kilometres would feature a harbour, a small airstrip, transmission infrastructure, and all equipment necessary to maintain the surrounding wind farms, alongside accommodation and workshops for staff,” Brouwers says. These novel features would open up a lot of possibilities for wind power developers and operators. With a base of operations out at sea—complemented with storage of components, assembly lines, and other logistical assets—the installation of wind turbines would be more convenient, efficient, and ultimately cheaper than is achieved by today’s methods which rely on specialised ships journeying out from ports. Savings on installation would be coupled with reduced expenditure over the twenty-year lifetime of wind turbines, too. 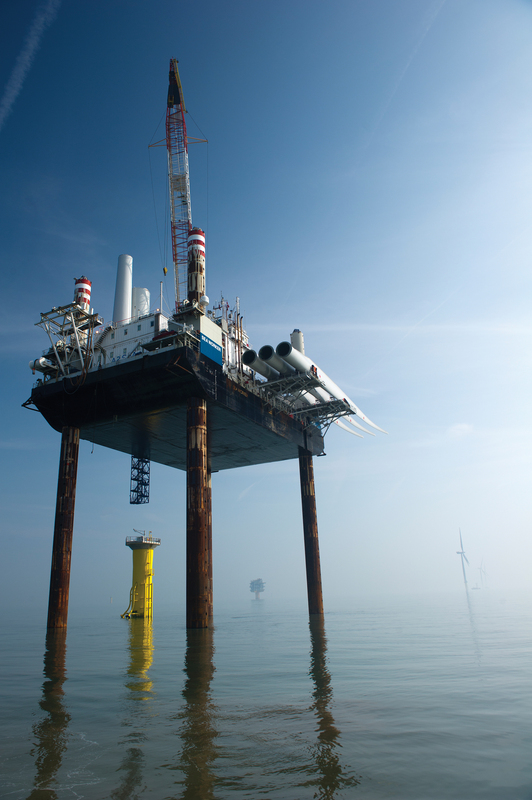 Operations and maintenance of offshore wind turbines—a crucial, albeit expensive, affair that stands to be transformed with a base of operations located out at sea. Onshore wind farms require a lot of support. But in harsh marine environments, that need is paramount. 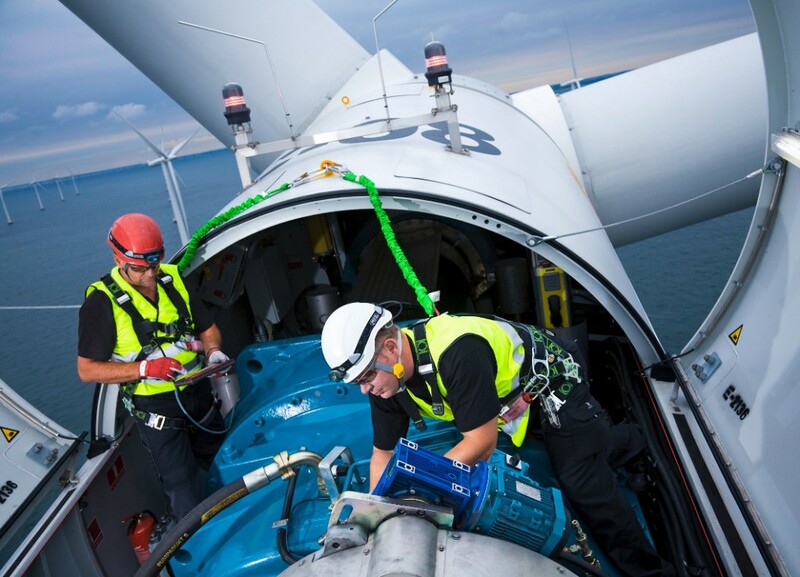 Operations and maintenance, or O&M, is key to ensuring turbines avoid downtime and remain productive. By convention (and presently also by necessity) offshore O&M run out of ports; it's logistically complex and pricey, easily representing some 20% of a wind turbine's levellised cost of energy (LCOE), and increasing with distance from shore. 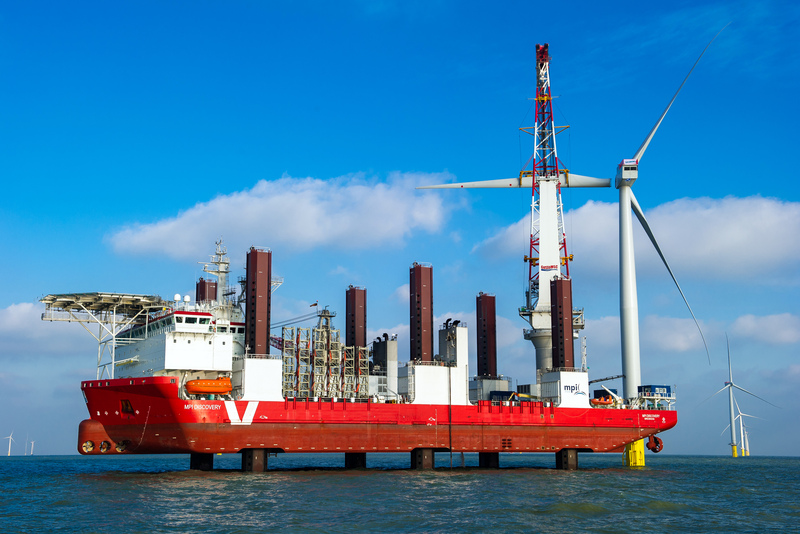 Subsea DC cables would not only export power from the wind farms, but will serve as interconnectors between countries bordering the North Sea. Alongside savings on installation and reductions on O&M, a third major cost saving feature of the Wind Power Hub concerns grid connections—the electrical infrastructure that links wind farms with electricity grids. Typically, grid connection is a significant cost component in offshore wind, representing between 15 to 30% of the capital costs for an offshore wind farm, with costs creeping higher the farther from shore you go. Like O&M, grid connection is a cost component that holds potential for improvement. With the Wind Power Hub, instead of alternate current (AC) cables taking electricity from a wind farm to grids onshore—the typical arrangement we see today—the output of multiple wind farms would be directed to a power link island. There, electricity would be aggregated, conditioned for transmission, and then dispatched to onshore grids of the North Sea countries. It’s a setup that would reduce the amount of export cables running to individual wind farms, and enable cost-effective use of high-voltage direct current (DC) transmission that boasts the added benefit of reduced losses compared to AC transmission. International electricity interconnections are the set of lines and substations that allow the exchange of energy between neighbouring countries and generate a number of advantages in connected countries. As significant as the North Sea Wind Power Hub would be terms of clean energy production and cost reduction of offshore wind power, the broader proposition for the concept goes beyond island-building and supporting wind farms. It would provide a solution to one of the central challenges in transitioning to a sustainable future. The inherent difficulty with renewable energy is its intermittency: power generation relies on variable resources like the Sun and wind that we cannot control. It’s an immutable characteristic of renewables, and one that creates problems for grids trying to balance supply and demand, and ensure efficient use of generated electricity. At least part of the solution is interconnectors—cables that function as long distance energy conduits across and between electricity grids. Interconnectors allow for electricity generated in one region to be transmitted to another, and allow countries to import and export electricity. The UK, for example, has interconnectors with France (2GW), the Netherlands (1GW), Northern Ireland (500MW), and the Republic of Ireland (500MW). “Without interconnectors we’re not able to balance supply and demand and that’s crucial for the energy transition. It’s absolutely key,” explains the EU Energy Union’s Koska. The imperative and current efforts to establish a European super grid are part of another story for another day, but the significance of interconnectors is neatly outlined in the YouTube video above from the Spanish TSO Red Eléctrica. As noted earlier, undersea cables would transmit electricity from islands to countries bordering the North Sea, but the same DC cables would also function as interconnectors between those nations. Something similar is already under development in the Baltic Sea, where the Combined Grid Solution will connect Danish and German electrical grids via the Kriegers Flak wind farm. The Wind Power Hub applies a similar logic, albeit connecting via islands and not wind farms, and on a much grander scale. 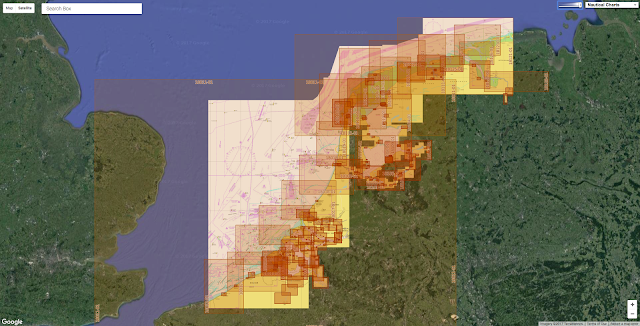 The Netherlands, Denmark, Germany, the UK, Norway and Belgium are all potential players in this new North Sea grid. 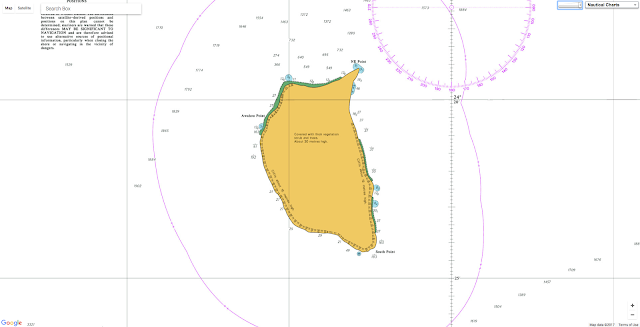 Construction of Mischief island by China has resulted in some 1,379 acres of land. Specialized ships involved in the construction process can be seen in this image. 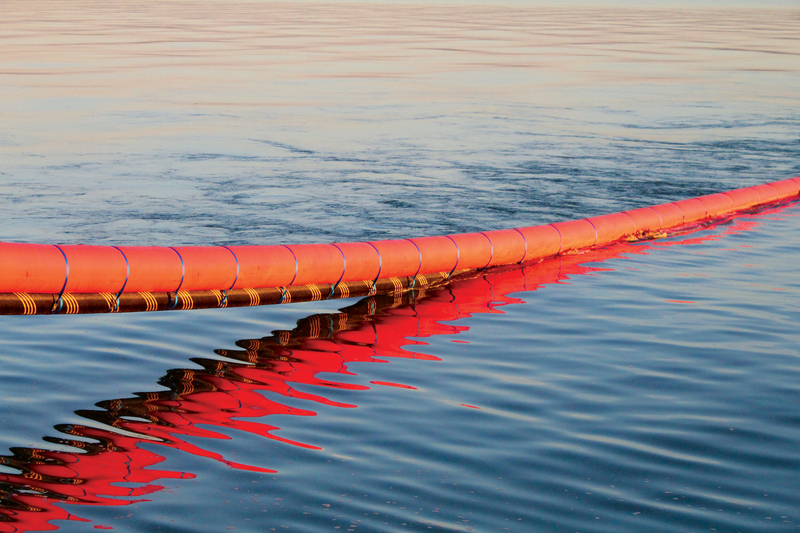 The dark lines seen connected to ships are floating pipes that pump sediment to be deposited. Construction of islands is nothing new. Prominent examples of the practice come from China and Dubai. Although motivated by radically different intentions (in the former instance, to establish a military presence in waters of the South China Sea; in the latter, to support luxurious hotels and residences) both nations have demonstrated the validity of creating artificial islands to varying specifications. In the simplest of terms, island-building involves dumping a huge amount of rock and sediment on the seabed until an island emerges. In reality, a little more finesse and a significant amount of engineering skill goes into the process. Acumen here means that islands may be built to survive waves, storms, and erosion, as well ensure that the newly minted land can physically support whatever is destined to be built on the island. Expertise will be especially critical for islands of the North Sea Wind Hub where the northerly climate and rough waters of the North Sea offer up considerable challenges. Still, with the Netherlands party to the project, there will be no shortage of world-class engineers on hand to deliver solutions. The Dutch have a long history in land reclamation and have been at the helm of some of the most prominent examples of island building around the world, including those of Dubai. 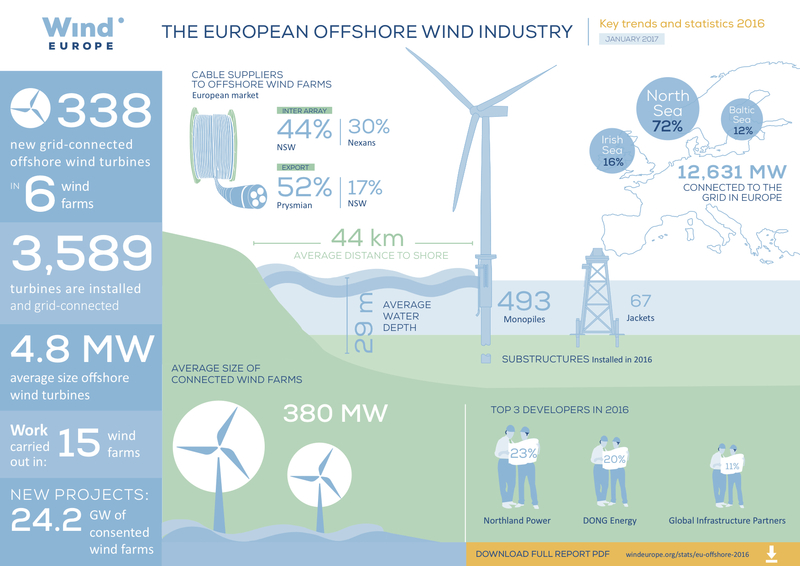 A European wind power infographic produced by WindEurope in 2016. 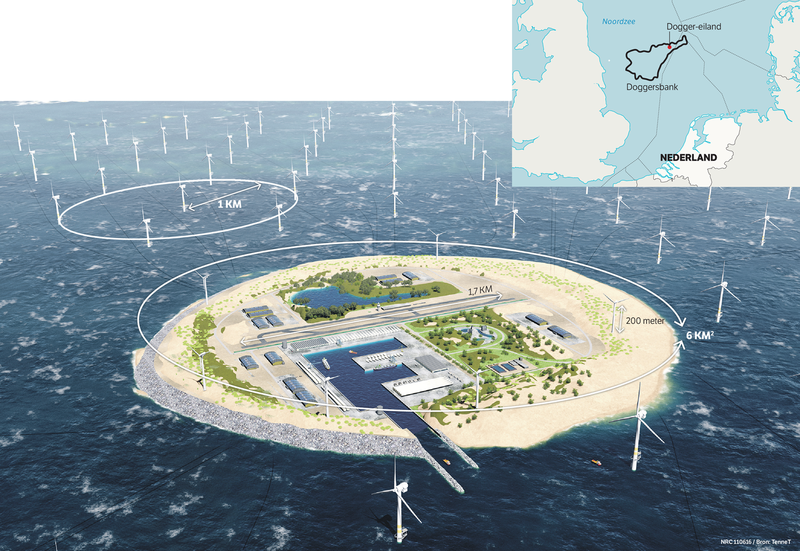 The North Sea Wind Power Hub is a vast, multinational project that won't just pop up overnight. 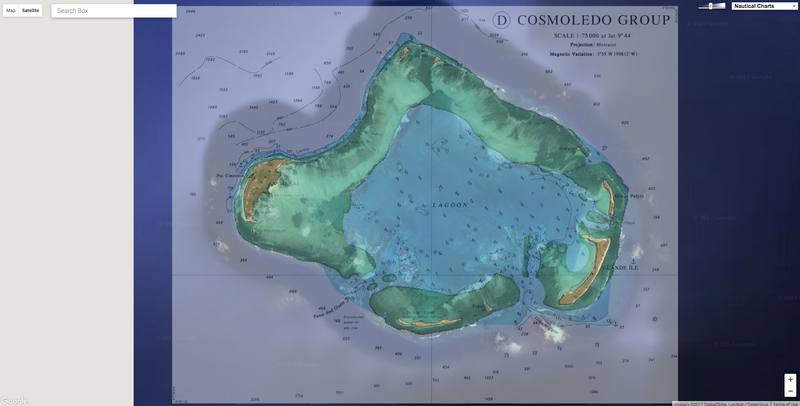 Brouwers notes that the consortium imagines a first island could be realised by 2035. Project literature frames the project as one providing a vision for joint European collaboration out to 2050. “It’s a long-term project, but it’s important to begin now and that the industry knows what on the horizon,” says Brouwers. For its part, numerous bodies within the European wind industry have acknowledged and expressed optimism about the project. 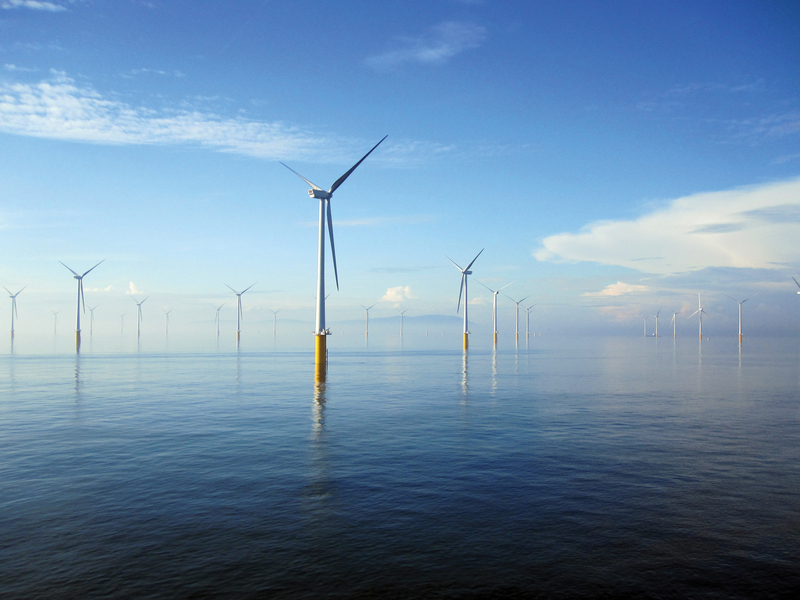 Andrew Ho, senior offshore wind analyst of the wind power trade association Wind Europe, tells Ars Technica: “Setting out a long term ambition for offshore wind provides a great signal to the wind sector. It’s not governments that are behind the target yet, it’s TSOs laying out the vision—but it’s still important to know that they see a big role for offshore wind in the future of European energy. The North Sea Wind Power Hub is an unquestionably mammoth project. But in so being it aptly reflects the enormity of challenges we face in tackling climate change. Many would contend that we already have the technologies necessary for transitioning to a sustainable energy system. The Wind Power Hub project reminds us that boldly pursuing the extraordinary, and resolving to commit to collaborative solutions, are traits that will serve us well in application of those technologies. with the highest density of plastic debris reported anywhere on the planet. 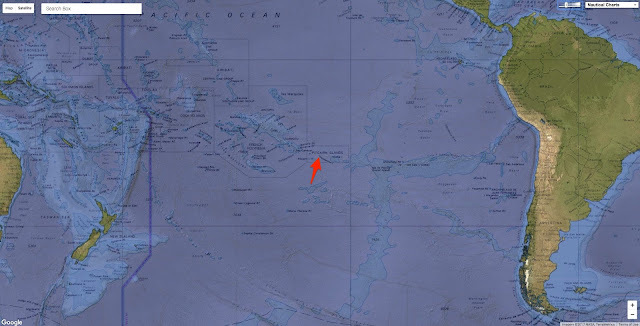 Henderson Island lies in the South Pacific, halfway between New Zealand and Chile. It is about as far away from anywhere and anyone on Earth. Yet, on Henderson’s white sandy beaches, you can find articles from Russia, the United States, Europe, South America, Japan, and China. All of it is trash, most of it plastic. It bobbed across global seas until it was swept into the South Pacific gyre, a circular ocean current that functions like a conveyor belt, collecting plastic trash and depositing it onto tiny Henderson’s shore at a rate of about 3,500 pieces a day. One researcher claims that a hermit crab that has made its home in a blue Avon cosmetics pot is a 'common sight' on the island. Much of the trash consists of fishing nets and floats, water bottles, helmets, and large, rectangular pieces. Two-thirds of it was invisible at first because it was buried about four inches (10 cm) deep on the beach. The accumulation is even more disturbing when considering that Henderson is also a United Nations World Heritage site and one of the world’s biggest marine reserves. Henderson is one of the four-island Pitcairn Group, a cluster of small islands whose namesake is famed as the home to the descendants of the HMS Bounty’s mutineers. Pitcairn’s population, which has dwindled to 42 people, uses Henderson as an idyllic get-away from the day-to-day life on Pitcairn. But aside from the neighboring Pitcairners, the occasional scientist or boatload of tourists making the two-day sail from the Gambier Islands, Henderson supports only four kinds of land birds, ten kinds of plants, and a large colony of seabirds. Lavers, a scientist at Australia’s University of Tasmania, and her co-author, Alexander Bond, a conservation biologist, arrived on Henderson in 2015 for a three-month stay. They measured the density of debris and collected nearly 55,000 pieces of trash, of which about 100 could be traced back to their country of origin. The duo’s analysis concluded that nearly 18 tons of plastic had piled up on the island—giving Henderson the highest density of plastic debris recorded anywhere in the world—at least so far. 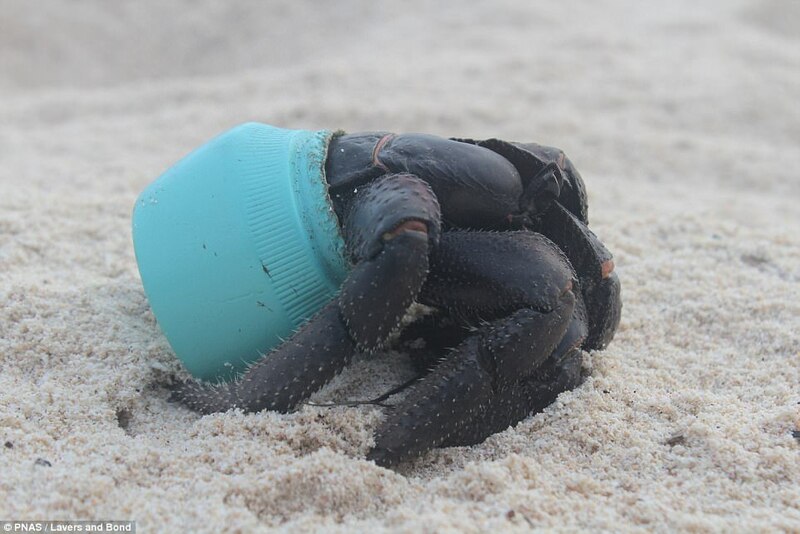 Henderson Island has the highest density of plastic debris in the world, with 3,570 new pieces of litter washing up on its beaches every day. Jenna Jambeck, a University of Georgia environmental engineering professor, who was one of the first scientists to quantify ocean trash on a global scale, was not surprised that Lavers and Bond discovered plastic in such abundance on Henderson. Jambeck’s 2015 study concluded that 8 million tons of trash flow into the ocean every year, enough to fill five grocery store shopping bags for every foot of coastline on Earth. “One of the most striking moments to me while working in the field was when I was in the Canary Islands, watching microplastic being brought onto the shore with each wave,” she says. “People are always surprised to find trash in what’s supposed to be an uninhabited paradise island. It does not fit our mental paradigms, and this might be the reason why it continues to be shocking,” says Enric Sala,a marine scientist who led a National Geographic Pristine Seas expedition to the Pitcairn Islands, including Henderson, in 2012. 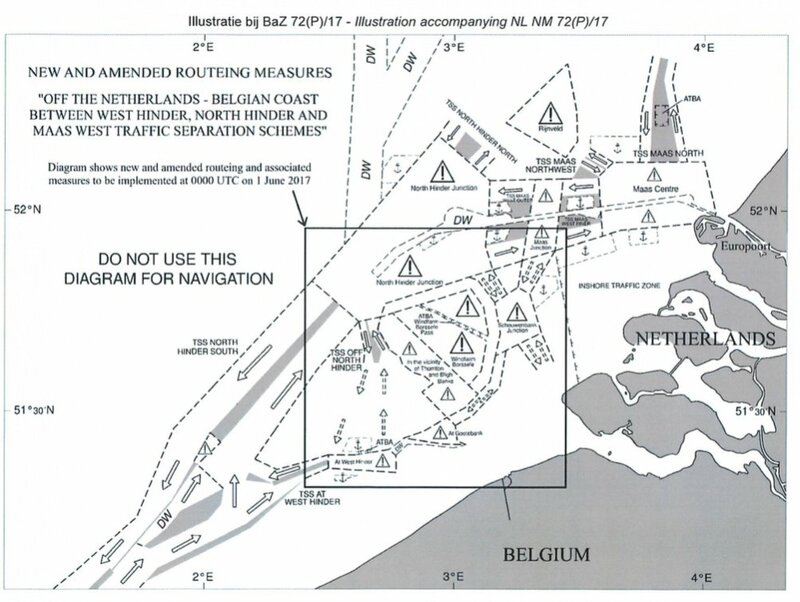 Prelimary notice of changes of the shipping routing Southern North Sea (Belgium and Netherlands). 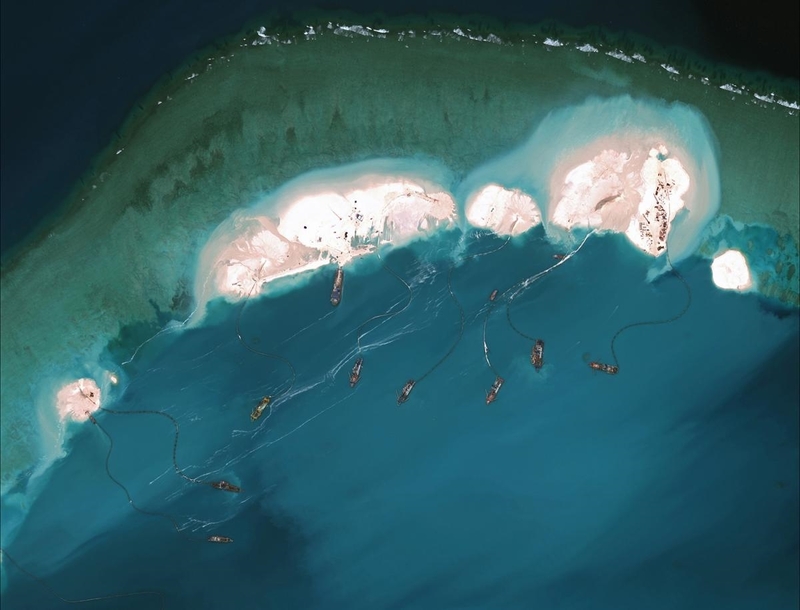 China claims they aren't military bases, but their actions say otherwise. China’s National People’s Congress Standing Committee, a top law-making body, passed a revised version of China’s surveying and mapping law intended to safeguard the security of China’s geographic information, lawmakers told reporters in Beijing. Hefty new penalties were attached to “intimidate” foreigners who carry out surveying work without permission. President Xi Jinping has overseen a raft of new legislature in the name of safeguarding China’s national security by upgrading and adding to already broad laws governing state secrets and security. Laws include placing management of foreign nongovernmental organizations under the Security Ministry and a cybersecurity law requiring that businesses store important business data in China, among others. Overseas critics say that these laws give the state extensive powers to shut foreign companies out of sectors deemed “critical” or to crack down on dissent at home. The revision to the mapping law aims to raise understanding of China’s national territory education and promotion among the Chinese people, He Shaoren, head spokesman for the NPC Standing Committee, said, according to the official China News Service. China claims almost all the South China Sea and regards neighboring self-ruled Taiwan as a breakaway province. 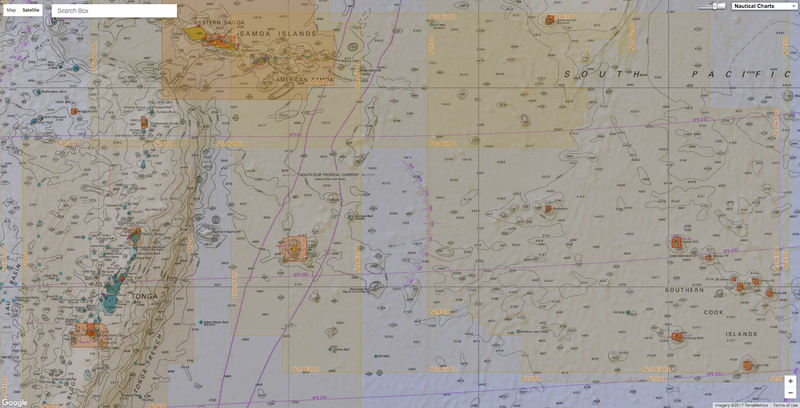 The new law increases oversight of online mapping services to clarify that anyone who publishes or distributes national maps must do so in line with relevant national mapping standards, He said. The rise of technology companies which use their own mapping technology to underpin ride-hailing and bike-sharing services made the need for revision pressing, the official Xinhua News Agency said Tuesday. Foreign organizations that wish to carry out mapping or surveying work within China must make clear that they will not touch upon state secrets or endanger state security, according to Song Chaozhi, deputy head of the State Bureau of Surveying and Mapping. Foreign individuals or groups who break the law could be fined up to 1 million yuan ($145,000), an amount chosen to “intimidate,” according to Yue Zhongming, deputy head of the NPC Standing Committee’s legislation planning body. According to MoT, China cleared the wreckage of stranded fishing boat on Scarborough Shoal to ensure the security of navigation. 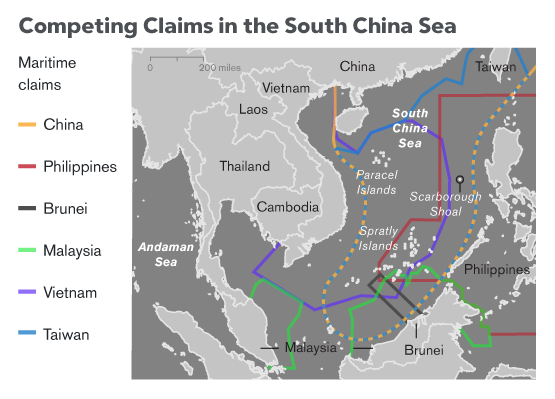 China’s Southeast Asian neighbors are hoping to finalize a code of conduct in the South China Sea, but those working out the terms remain unconvinced of Beijing’s sincerity. Signing China up to a legally binding and enforceable code for the strategic waterway has long been a goal for claimant members of the Association of Southeast Asian Nations. But given the continued building and arming of its artificial islands in the South China Sea, Beijing’s recently expressed desire to work with ASEAN to complete a framework this year has been met with skepticism and suspicion. But the DOC was not stuck to, especially by China, which has built seven islands in the Spratly archipelago.It is now capable of deploying combat planes on three reclaimed reefs, where radars and surface-to-air missile systems have also been installed, according to the Asia Maritime Transparency Initiative think tank. Beijing insists its activities are for defense purposes in its waters. 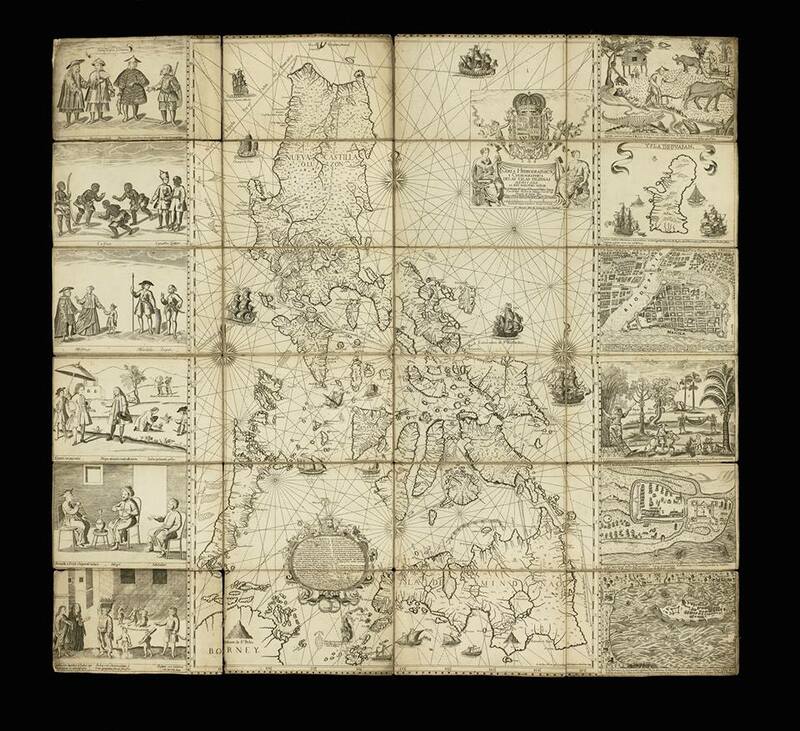 Malaysia, Taiwan, Brunei, Vietnam and the Philippines, however, all claim some or all of the resource-rich waterway and its myriad of shoals, reefs and islands. Finalizing the framework would be a feather in the cap for the Philippines, which chairs ASEAN this year. Manila has reversed its stance on the South China Sea, from advocating a unified front and challenging Beijing’s unilateralism, to putting disputes aside to create warm ties. Philippine President Rodrigo Duterte has opted not to press China to abide by an international arbitration decision last year that ruled in Manila’s favor and invalidated Beijing’s sweeping South China Sea claims. There will be no mention of the Hague ruling in an ASEAN leaders’ statement at a summit in Manila on Saturday, nor will there be any reference to concerns about island-building or militarization that appeared in last year’s text, according to excerpts of a draft. Duterte said Thursday that he sees no need to gather support from his neighbors about the July 2016 landmark decision. His predecessor, Benigno Aquino III, brought the territorial disputes to the Permanent Court of Arbitration in The Hague in 2013 amid China’s aggressive assertion of its claims in the South China Sea by seizing control of Scarborough Shoal located less than about 300 km (200 miles) from the Philippines’ Luzon island, and harassment of Philippine energy surveillance groups near the Reed Bank, among others. While the arbitration case was heard, China completed a number of reclamation projects on some of the disputed features and fortified them with structures, including those military in nature. China did not participate in the arbitration hearing, and does not honor the award, insisting it only seeks to settle the matter bilaterally with the Philippines. Duterte had said he will confront China with the arbitral award at a proper time during his administration, which ends in 2022, especially when Beijing starts to extract mineral and gas deposits. 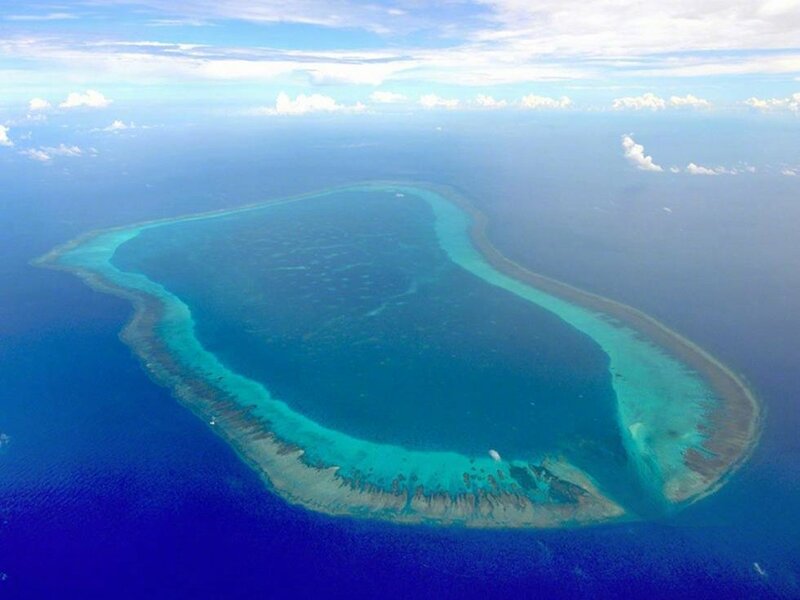 The Philippines, meanwhile, has completed an 18-day scientific survey in the South China Sea to assess the condition of coral reefs and draw a nautical map of disputed areas. Two survey ships, including an advanced research vessel acquired from the United States, conducted surveys around Scarborough Shoal and on three islands, including Thitu, in the Spratly group, National Security Adviser Hermogenes Esperon said Thursday. “This purely scientific and environmental undertaking was pursued in line with Philippine responsibilities under the U.N. Convention of the Law of the Sea to protect the marine biodiversity and ensure the safety of navigation within the Philippines’ EEZ,” Esperon said in a statement. He gave no details of the findings from the reef assessments and nautical mapping of the area, which was carried out between April 7 to 25. Dagmar Aaen on her "Ocean Change" Expeditions by Arved Fuchs. Here on the way from Ushuaia Argentina to Piriapolis in Uruguay. Footage by Arved Fuchs, Felix Hellmann and Heimir Harðarson. The Dagmar Aaen was built as a fishing cutter in 1931 in the Danish city of Esbjerg at the N. P. Jensen shipyard and was given the registration number E 510. The hull was built out of six cm oak planks and oak frames. The space between the single frames is sometimes so small, that a fist can hardly fit between them. Because of this and due to the addition of extra waterproof bulkheads, the hull was given a remarkably high strength. The ship was often used in the Greenland region because of its solid built and its choice building materials. Journeys through ice-fields and months of overwintering in frozen fjords and bays meant daily routine to a ship of this type. The famous Greenland explorer Knut Rasmussen chose just such a ship for one of his expeditions in the Arctic regions. The Dagmar Aaen was employed for the fishing industry until 1977. Niels Bach purchased her in 1988 together with the Peters shipyard in Wewelsfleth Germany and the Skibs & Bædebyggeri shipyard, owned by Christian Jonsson in Egernsund Denmark, built her into expedition ship with ice reinforcements. Since this time there have been many repairs and changes done at the shipyard, in order to adapt the ship to the different conditions on each expedition.